The Macrothink Institute (Linkedin) exists to develop and publish research in science and other subject areas. The institute has taken several effective steps to achieve these goals, such as publishing online journals which are accessible to people across the globe. Hence, they use the latest innovations in digital technology for education and awareness. 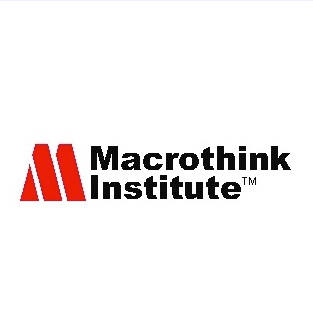 In addition to their publication work, Macrothink Institute also sponsors, promotes, and funds researchers, students, and organizations. And apart from their reliance on internet technology, they also work with the best scholars from all over the world, which distinguishes Macrothink Institute from other academic publishers. The International Journal of Culture and History (IJCH) is another addition to Macrothink’s list of social sciences and humanities journals. IJCH is published online, and deals in subject that fall under the culture and history umbrella, such as literature, religion, linguistics, law, and issues pertaining to cultural preservation. This is a great academic platform for academicians and researchers to publish new work in these fields. All research papers on this open-access journal are peer-reviewed. Why Submit your Research to IJCH? If you are doing research in the realm of culture and history, publishing your work on IJCH holds great potential for you. To begin with, your research will be published in an electronic form. This firstly improves the paper’s searchability i.e. readers will find it easy to search for specific information. But more importantly, readers will be able to access it from their computers. This is highly convenient as compared to borrowing books from the library. In fact, with the changing dynamics in print and publishing industry due to innovations in technology, online journals are the new platforms for scholars to promote their work. Moreover, even popular search engines like Google and Yahoo! are increasingly displaying online journals in their search results. And since Macrothink Institute is already an established name, consider the implications of publishing your research on their Journal of Culture and History. Not to mention, when published online, readers can easily share your research with their associates. And don’t forget that your published work will be reviewed by fellow professionals and academicians. Not only will this add credibility to your work, but it will generate further discussion in the subject. Consider the long-term implications. The Macrothink Institute operates on one principle: academic freedom. They have made it possible for students and teachers in all parts of the world to access the most authoritative research in science, education, and culture. All they do is discourage unethical practices like plagiarism. But apart from that, you will have complete control over your work. By submitting research to their journal, you will enjoy the dual benefits of credibility (by being associated with an established institution) and a wide readership thanks to the user-friendly nature of online publications. So if you want to establish yourself as an authority in cultural or historical research, IJCH is the platform you should avail.